Bangkok is one of the most visited cities in the world and attracts many entrepreneurs, expats and digital nomads. Even if people claim that you can get better yields in places like Cambodia, it’s getting increasingly popular among foreigners to buy in Bangkok. In fact, price appreciations are not always the most important, the feeling of owning a property, especially in a place like Bangkok, can be an amazing feeling. Not to neglect, some people can’t simply afford to buy back home. If you buy in the right area, the capital gain can be quite decent (more about that in this article). However, it’s not always easy to know which real estate agency you should turn to for help. Finding a reputable and credible agent is crucial to successfully buy a property. Therefore, I decided to write this article where I’ve listed (in random order) some of the most reputable real estate agencies in Bangkok. Colliers is one of the biggest real estate agencies in the world with 400 offices in almost 70 countries, including Thailand. The head office is located in Bangkok and has a management team of 14 persons, mixed with both Thai nationals and foreigners. The Bangkok office was established in 2007 and they also have a presence in Pattaya and Hua Hin, employing around 250 people in total. Colliers International Thailand has managed a number of acquisitions of local real estate agencies, including Pasupat Realty Co. Ltd., in 2007 and FirstService in 2015. 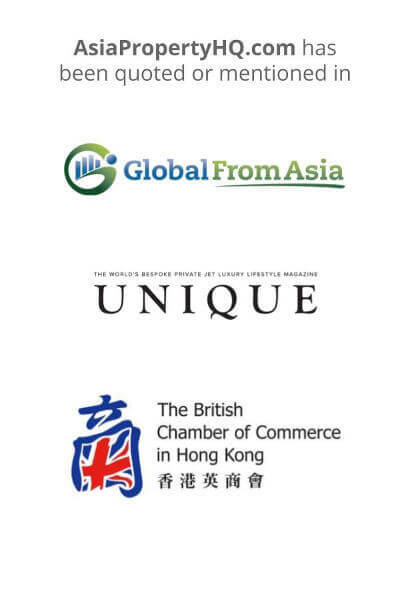 Clients on the list include Bangkok Bank, Siam Commercial Bank, Siam Piwat and Singha. Saying that Colliers is one of the top real estate agencies in Thailand is not a bold statement. Includes both residential and commercial properties, like condos, apartments, villas, multifamily projects, hotels, land, offices and more. Most properties up for listing are located in Bangkok, but you’ll be able to find a number of options in other cities as well. CBRE Group, Inc. is one of the most reputable real estate agencies with its head office located in Los Angeles, California. In 1988 CBRE decided to set up the first international office in Bangkok, namely CBRE (Thailand) Co., Ltd., they’ve continued to set up a number of offices in different locations in Thailand. With 800 employees in Thailand and being famous for being the biggest real estate agency in the world, you’ll be sure to get the high class service you need. CBRE covers all property types, mainly in Bangkok and Phuket. You’ll be sure to find both residential and commercial properties, like golf courses, hotels, factories, office space, warehouses, condos, family houses, land and more. RE/MAX is one of the biggest real estate companies with its head office located in Denver (Colorado). Established in 1973, it has decades of experience and has the world’s largest network of franchise-owned offices (similar to Starbucks). It currently has more than 100,000 agents and offices in more than 100 countries, including Bangkok. RE/MAX covers both ends and can help you to buy, manage, rent out and sell commercial and residential properties. Include all kinds of residential and commercial property, like hotels, office space, warehouses, condos, apartments, villas and more. They currently have 17 offices in cities like Bangkok, Songkhla Chiang Rai, Koh Samui, Hua Hin, Pattaya, Surat Thani, Phuket and others. Knight Frank is one of the biggest real estate agencies in the world and is based in London, UK. They have several hundred offices worldwide and employ around 15,000 professionals. The head office of Knight Frank Thailand is located in Bangkok, the company has almost 500 employees in Thailand and decades of experience, used to cater foreign buyers. Include all kinds of residential property and commercial property, like office spaces, warehouses, apartments, lands, condos, family houses and more. Knight Frank focuses primarily on Phuket and Bangkok. JLL, also known as Jones Lang LaSalle Incorporated, is a US based global brand with presence in more than 80 countries. With more than 80,000 employees and around 300 offices, it’s ranked as the second largest real estate agency in the world after CBRE Group. JLL Thailand has offices in Bangkok and Phuket. They offer you a wide range of services that include facilities management, project development, tenant representation, valuation, sales & leasing, investments, property & asset management, and research. The company mostly serves Bangkok, Hua Hin, Khao Yai and Phuket. They manage and sell all types of properties including residential, retail, office, industrial, logistics, hotels and hospitality properties. Savills was founded in 1855 and is one of the oldest and most reputable real estate agencies in the world. Naturally, they also have an office in Thailand. With over 700 offices worldwide and a long history and experience of helping foreigners buying property overseas, you’ll be sure to get top notch service. Savills Thailand’s services cover Bangkok, Khao Yai, Pattaya and Phuket. They sell and manage both residential and commercial properties, including office buildings, hotels and condos, just to mention a few. Rosewood Properties is, in comparison to the previously mentioned, a small but growing real estate agency only focusing on the Thai market. They help foreigners to buy both residential and commercial properties in Bangkok and its surrounding region. Sense Property Group was founded by Bastien Forzy, Antoine van Innis and Khun Joy in 2012. The company focuses primarily on helping expats and international buyers, which is crucial to understand the market and regulations in and out. They offer a number of services to expats like rentals, relocation services and administrative & legal support. Acute Realty was founded in 2000 and is located in Bangkok, but has offices in Chiang Mai and Hua Hin as well. The company also has a second real estate agency called Thai Apartment, the owner Precha Suphapetiporn is. The company is fairly big and currently has 28 employees. Fabrice Lore founded Five-Stars more more than a decade ago and is originally from Nice, France. He’s been in Bangkok for more than two decades and has a long experience of catering foreigners. Previously living on Koh Samui for several years, Fabrice understood the need of a French speaking agency in Bangkok. They sell both commercial and residential properties, with everything from condos, family houses, townhouses, land, office space and much more. Vauban Real Estate is a foreign owned real estate agency, with offices in Bangkok, Chiang Mai, Hua Hin, Pattaya, Phuket and Koh Samui. The company has operated in Thailand for more than a decade and has more than 40 employees, ready to cater foreigners. Cyrille Hareux is a French speaker and the founder of Vauban Group, he has been on the ground for years. The company offers a number of services, like sales, leasing, property management and rentals management. Vauban works with residential properties, like condos, apartments and villas. You can Vauban’s offices in most key cities, including Bangkok, Chiang Mai, Hua Hin, Pattaya, Phuket, Koh Samui. BVA Realty has more than a decade of experience under its belt and a long experience of catering foreigners. They currently have 780 residential properties listed on their website for sale and over 1,000 for rentals, so there are many to choose among. BVA provides services in both Bangkok, Phuket, and Pattaya. They have condos and houses listed, but don’t provide any commercial properties. It can seem like an easy task to buy a condo, but you also need to have a decent resell strategy. The location and the size of the condo will determine whether your investment is a good bet or not. Previously, I did an interview with Fabrice Lore at Five-Stars (see above) where he explained some of they key considerations you should have in mind before buying. How big condo unit should I buy? Your preferred choice should be a spacious 2 bedroom apartment (80-130 square meters) or a 3 bedroom apartment, as there’s been an oversupply of 1 bedroom apartments. The tenants tend to be of a higher quality if going for a bigger apartment as well. You should definitely have a look at condos located close to the different BTS stations, especially in the central areas like Phra Khanong, Ekkamai, Thong Lo, Nana and Asoke. The demand is generally higher in these areas and you’ll reduce the risk that you won’t be able to resell your condo later. 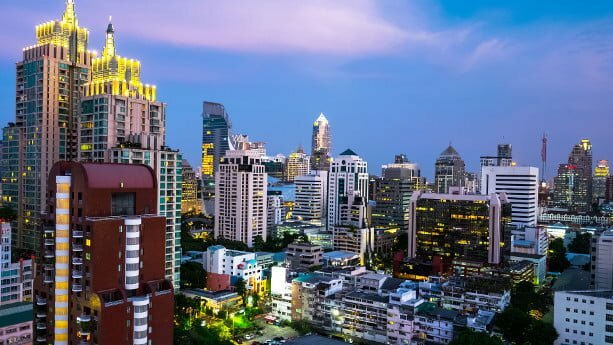 How much do I need to pay my Bangkok agent in commission? You normally need to pay a commission of 3%. But keep in mind that you also need to pay a number of taxes when buying, holding and selling the property. For more information about the taxes that apply, I recommend you to read my separate article that explains the details. Yes, the same agencies who helped you buy can often help to find tenants and manage the renting process. The good part here is that you don’t necessarily need to be present in Thailand all the time, but can let someone do the work for you. The agencies also have a good knowledge about the local regulations that apply to foreigners, which will minimize the risks for any problems later. I want to sell my property in Ritz Carlton Bangkok . Need to contact the right agents. I’ve forwarded this to our agent in Bangkok.